Why hire our Austin ad agency light? 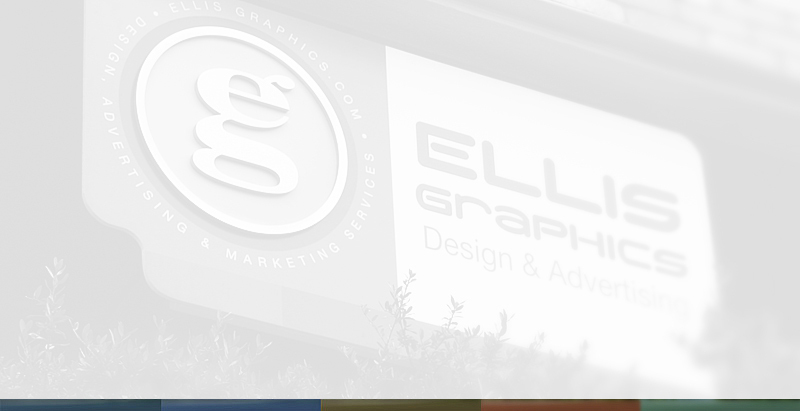 Why hire Ellis Graphics as your Austin graphic design shop, or even as your Austin advertising agency alternative? To be successful, good Austin ad agency work requires a thorough understanding of our client’s business. Through the clarity of a third party viewpoint not found in many Austin ad agencies, we offer the ability to specifically and creatively highlight the benefits you provide to a target audience. Whether the product is a logo/corporate identity package, a company brochure/website, a print ad campaign…or all of these, the service of Austin ad agency Ellis Graphics is designed to offer creative solutions to our client’s sales and marketing challenges. 1.) Initial client meeting determines the goals, scope and budget of the project. 2.) Ellis Graphics offers an estimate to complete the project. 3.) The client agrees to the estimate and signs a Working Agreement. 4.) The project is researched to help define the possible solutions. 5.) Ellis Graphics develops initial creative concepts. 6.) Client meeting helps define the preferred project direction. 7.) Ellis Graphics refines the selected creative into a final form. 8.) Client approves and accepts delivery of final project. Our goal is to become an integrated business resource for every client. We want our clients to feel free to make a simple phone call, describe their idea, and gain astounding results with minimal effort by them. The clients we serve best develop an assumptive understanding of our affordable rates and call for work with no fear of overcharges. We want to create this relationship with you. Though this process, Ellis Graphics has provided successful work to a wide range of clients from single entrepreneurs to national corporations. With each project our goal is the same, to provide powerful, targeted communications to our clients.